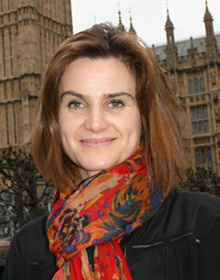 The legacy of Jo Cox MP: feminist role model? I had no idea who Jo Cox was, until the news of her brutal murder last Thursday. Since that moment, fellow MPs, constituents, colleagues have come forward to tell us what a remarkable women she was, as a politician, a campaigner, a mother. A tiny, dynamic figure with a kind smile and dimples. It is rare to see such a force for good, such an inspirational figure, juggling issues on the national and international stage, the public and the domestic front.